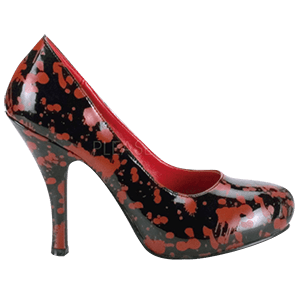 Whether you are dressing for a zombie apocalypse or just showing off how much you love the Walking Dead, you are sure to find the clothing you need here at Zombies Playground. 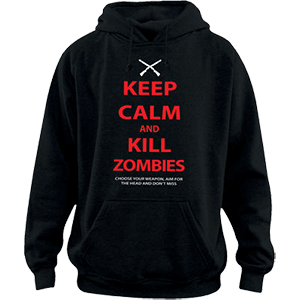 Every garment here will help you celebrate or show your interest slaying zombies. If you love zombies, then many of our zombie t-shirts are right up your alley, demonstrating ghoulish themes and designs that are both humorous and serious, making them great for virtually any casual occasion. For all your essential zombie related clothing, you can look to Zombies Playground to provide you with an impressive selection of pre- and post-zombie apocalypse garments that you can wear on your day-to-day, whether you are celebrating a love of zombies or dedicated to fighting against them. Zombies aren't just for adults! At Zombies Playground, we believe that zombies are for all people, whether they're living or (walking) dead, and so we offer a number of Junior Zombie T-Shirts for the youth who wants to celebrate her own zombie style. All of our junior t-shirts are sized slightly smaller than our adult t-shirts, being designed to fit a smaller body type. Many of the shirts are also more form-fitted when worn, rather than hanging loose. The one thing that all of our junior shirts have in common, though, are their rocking zombie themes! 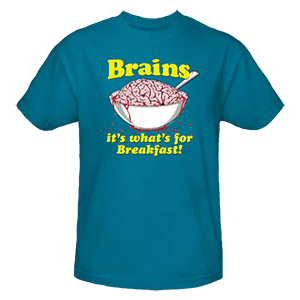 Ranging from hilarious to serious, virtually all of our zombie junior t-shirts deal with zombies in one way or another, and the ones that don't still reference the end of the world in some way. And did we mention that they also happen to be exceptionally comfortable? Why, so we did. Whether you want to wear a frightening zombie logo on your day out on the town or if you're looking for a funny zombie shirt to enjoy on your off days, you're sure to find it here in the Junior Zombie T-Shirts category at the Zombie's Playground! Brought to you by the Zombies Playground, many of these Women's Zombie T-Shirts would look fantastic on the ghoul of your dreams. 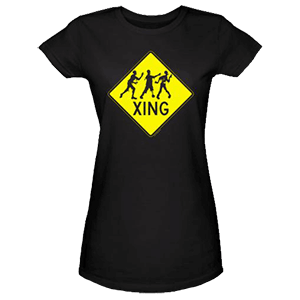 Of course, these awesome zombie shirts don't have to be given as gifts to be enjoyed to their fullest by any number of female zombie fanatics. In fact, all you need to enjoy these shirts is either a love of all things zombie, or just a desire for an awesome shirt that might happen to have something to do with zombies. Virtually all of our women's zombie shirts feature an impressive zombie design of some kind, and those that don't are likely styled to look great ON a zombie. Some of these shirts are rather humorous, in a zombified kind of way, while others are completely serious about their undead design. Some of them aren't even shirts at all, but rather accessories that are designed to cover your arms and torso. One thing that they all have in common, though, is that they're all exceptionally comfortable to wear. 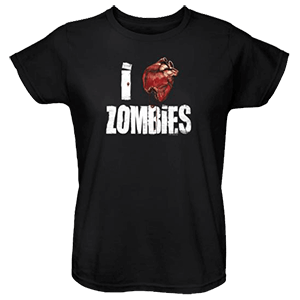 So next time you feel like showing off your love of all things zombie, consider picking up a Women's Zombie T-Shirt from the Zombie Playground to add to your wardrobe.